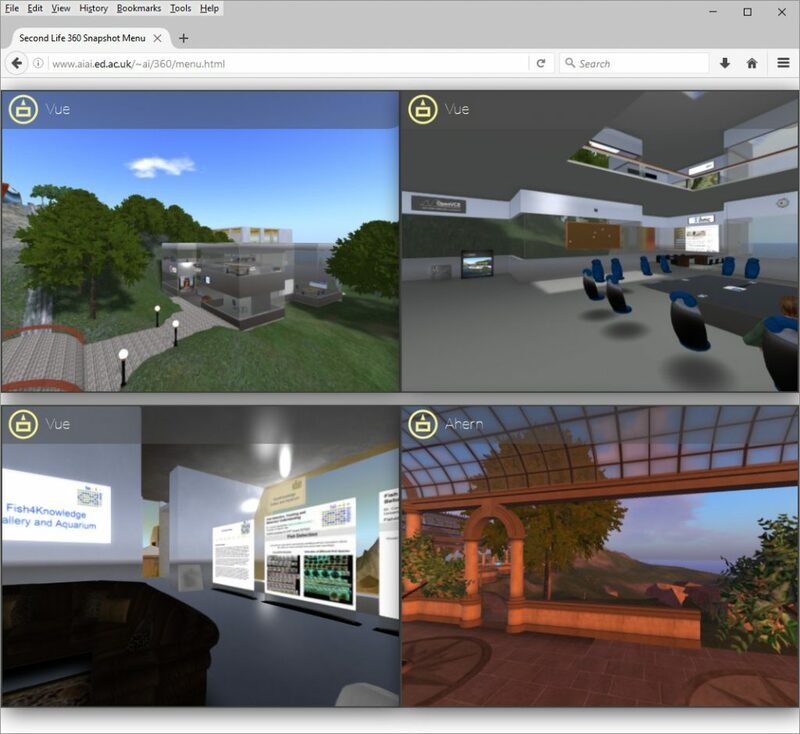 A new Second Life “Project Viewer” has been released by Linden Lab that allows for the creation of 360° snapshots in Second Life virtual world scenes. The icon in the top left corner gives you a link to visit the destination. 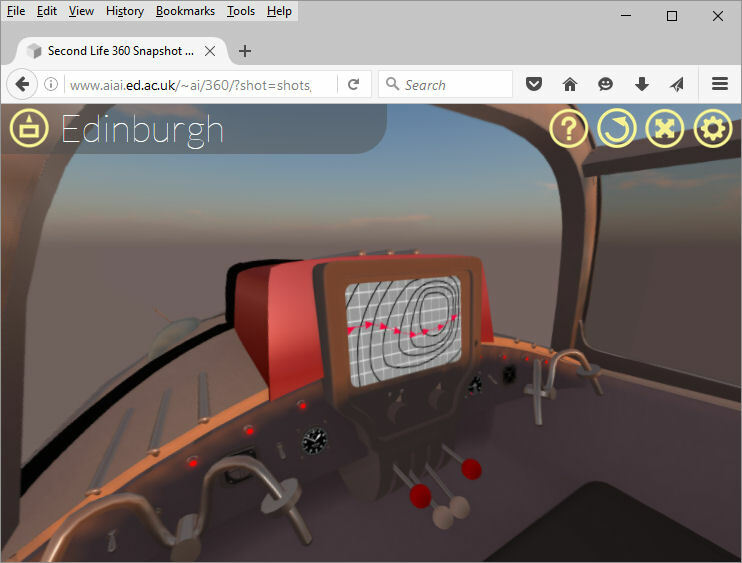 Once you are viewing an image using the web viewer framework that operates on the .zip files, you can download it in a 2:1 aspect ratio suitable for upload to Flickr for sharing and viewing in 360°. The download button is indicated in the image to the right. Images download using it are in 2:1 pixel aspect ration (PAR) at 4096×2048, and contains XMP metadata specifying a “ProjectionType” which should be recognized as a 360 image. 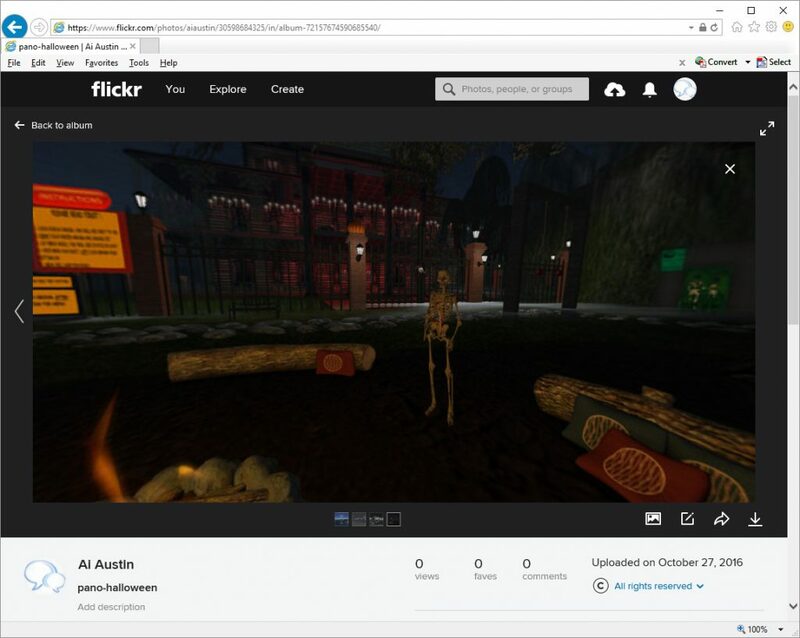 This means they can be uploaded directly to Flickr for 360° viewing. Inara Pey’s blog post gives helpful details. Some examples produced using this procedure are available in http://www.aiai.ed.ac.uk/~ai/360/pano/. 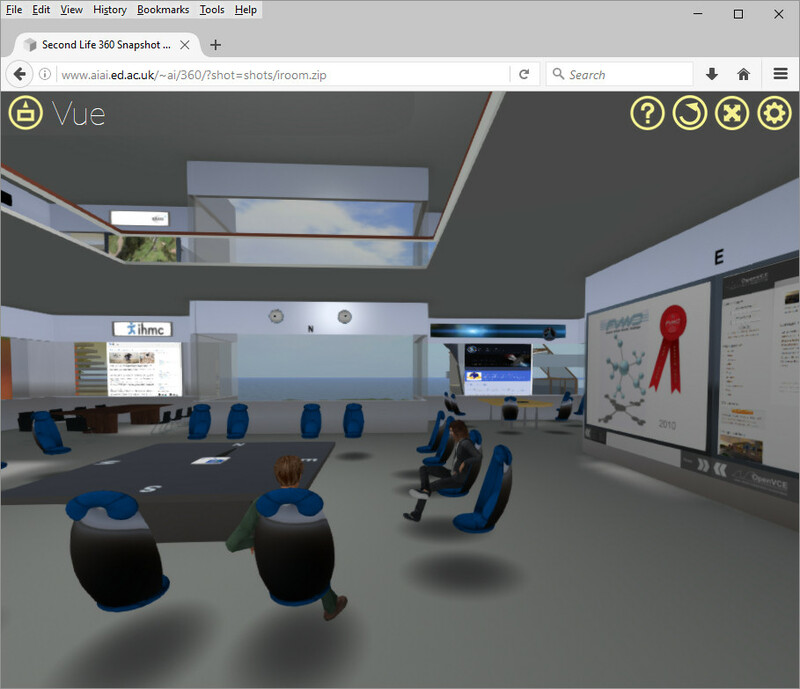 The Second Life Wiki 360° Snapshot Page has advice on setup of the viewer to create better snapshots, particularly for this early test version of the viewer with its limited facilities to “freeze” the scene to capture the multiple camera angles needed. 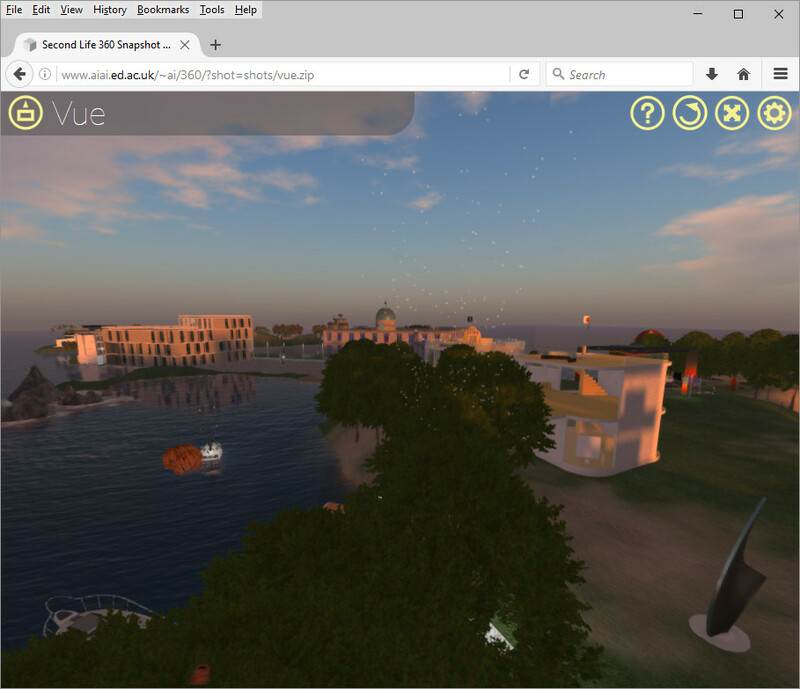 As expected there are a few glitches with this initial project viewer. In the menu.html web page template, the icon in the top left corner of each thumbnail opens the full sized image, but the same icon in that full sized view gives you a link to the Second Life map location. Maybe two different icons would work better, especially as the “About -> Controls” help page indicates that icon is to visit the region via the map. A few viewer crashes occurred. Other approaches to creating 360° snapshots in Second Life using multiple cameras have been created and are documented in this blog post. 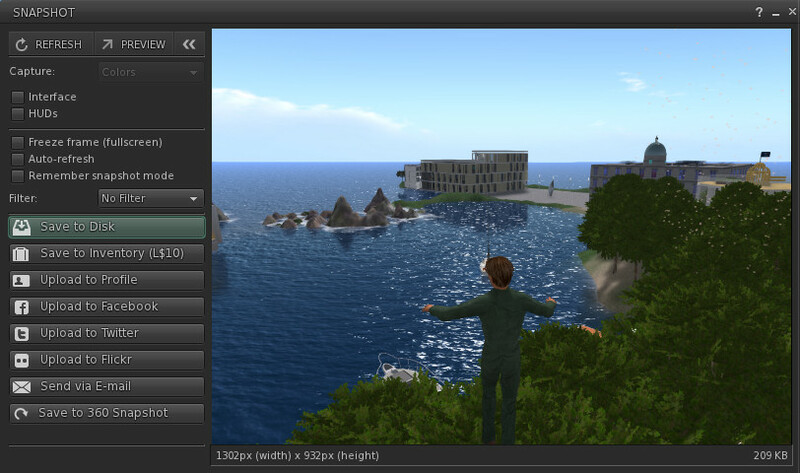 When taking snapshots at a height above a region, even if the viewing distance is set low enough that all objects on the ground do not show, the surface patch, ground and water of the regions below you can show in a snapshot. To avoid this you can turn off the rendering of these elements… in Advanced (Ctrl+Alt+D to show) -> Render. 5.1.0.506488 on 19-Jun-2017 and 5.1.0.506743 on 29-Jun-2017. 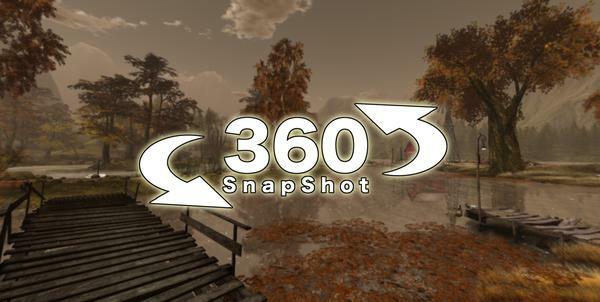 The 360 degree snapshots created by this version were of the “pano” style used by many web sites rather than the multi-image “zip” style of the previous 4.1. * versions. 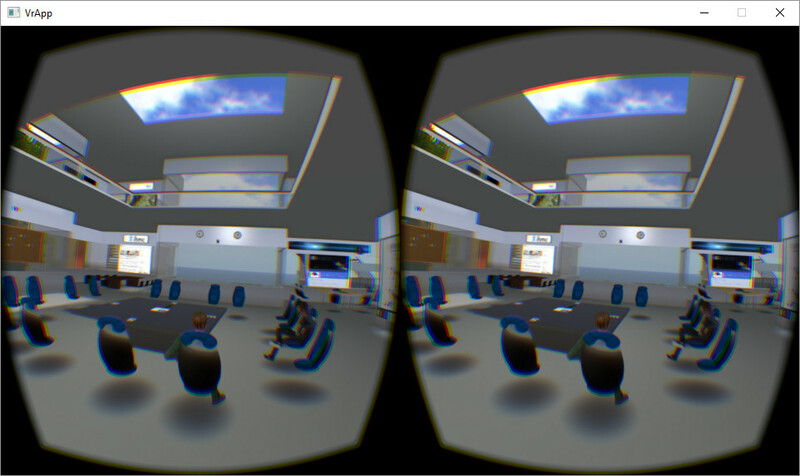 For Flickr, the uploaded image had to have a tag of “equirectangular” added manually. 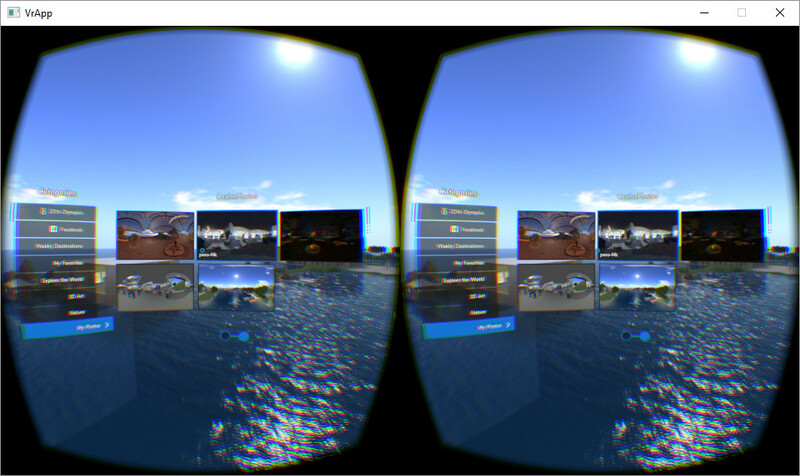 For Oculus 360 Photos app use the image had to have its suffix altered from the default .jpeg to .jpg. 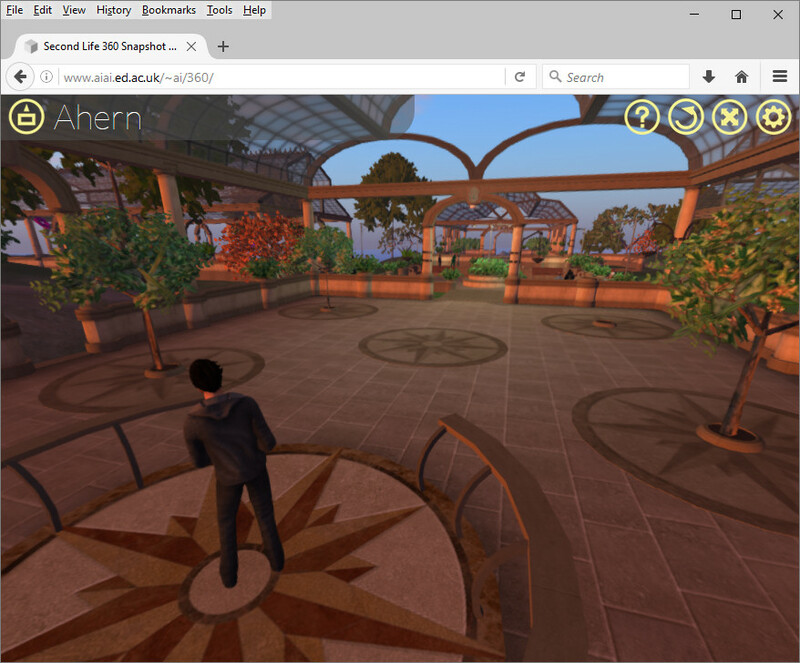 This entry was posted in 3D, Second Life, Virtual World and tagged 360, 3D, Linden Lab, Second Life, Snapshot. Bookmark the permalink. 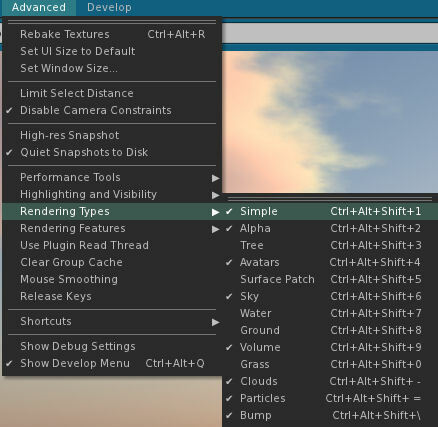 e-onsoftware.com note that their professional 3D environment production product is also called VUE… See http://www.e-onsoftware.com/products/vue/. 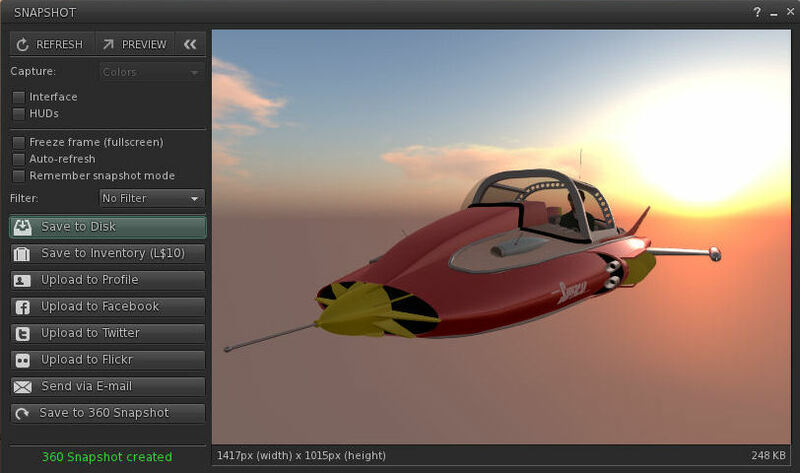 It is not specifically for Second Life 360° snapshot production. * Images captured using the latest version of the viewer will not load into older versions of the web viewer (pages remain stuck on the gear cogs). * Images captured using any version of the viewer will not load into the latest version of the web viewer (which also uses a different folder hierarchy for the location of ZIP files). * The Lab indicates that some of these issues can be corrected by adjusting the image resolution in the snapshot floater to take pictures at a lower resolution. Right now, effort is being directed towards the 64-bit viewer’s media handling, it is therefore unlikely further work will be carried out on the snapshots viewer until 2017. 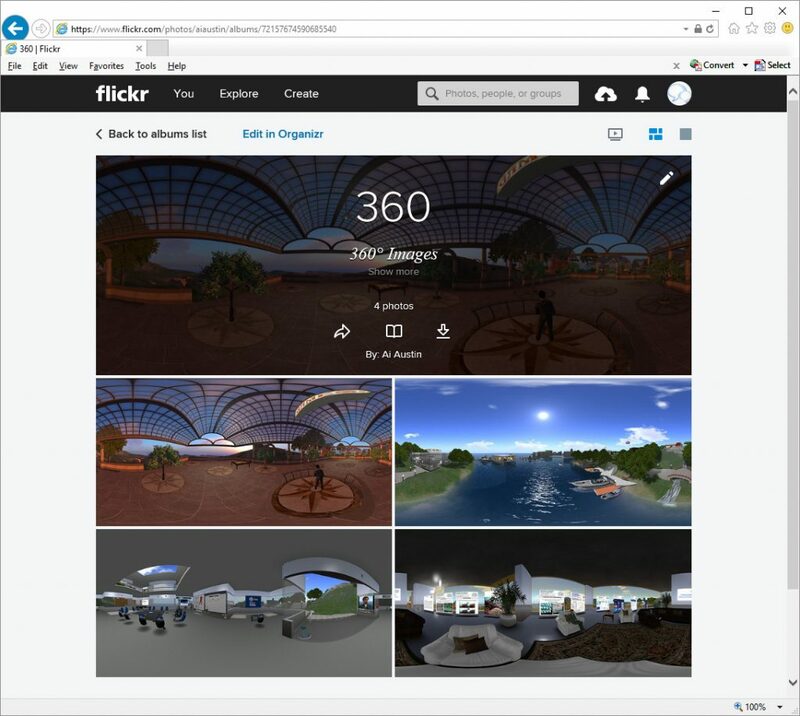 Using the second version of the 360 snapshot project viewer from http://wiki.secondlife.com/wiki/Release_Notes/Second_Life_Project_360_Snapshot/4.1.3.321712 and the web support package from http://wiki.secondlife.com/wiki/360_Snapshots (link to https://bitbucket.org/callum_linden/360-snapshot-web-viewer/get/tip.zip) as at 5-Dec-2016 loaded onto our Apache web server, I was able to generate and view snapshots in Mozilla Firefox browser at resolutions of 1024×1024 and 2048x2048m but the 512×512 resolution snapshot showed the same image on each of the 6 box sides rather than choosing the size different images. The problem with the 512×512 .zip seems to be that all 6 images in the zip are one identical shot. 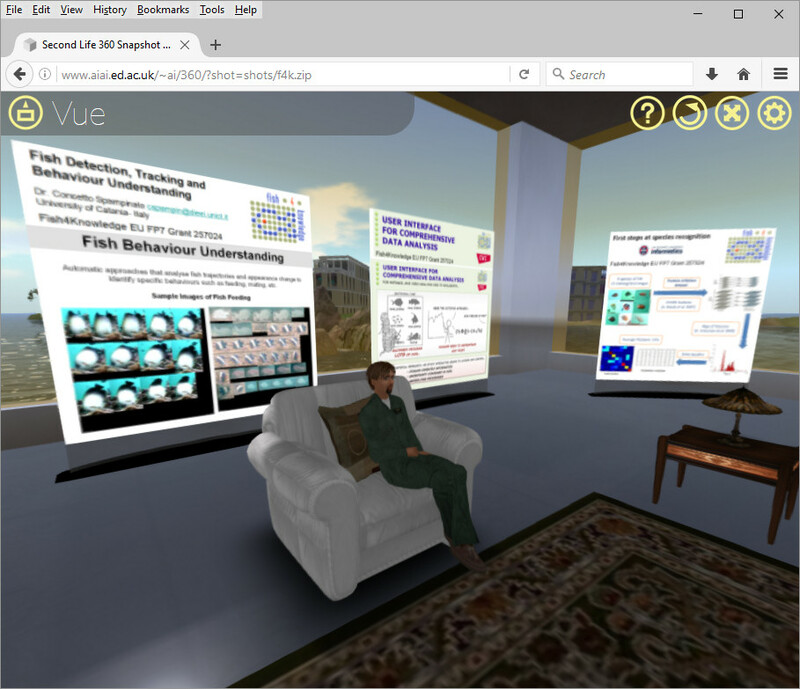 The previous multiple thumbnail viewer given by the menu.html example is not in the new web code framework, but a similar example inline.html is there. This needs a bit of modification to work a sit uses web site base specific embedded URLs. These need to be made to point to the snapshot .zip files in a suitable location that is relative to the inline.html web page. N.B. The “360b” and “360b/demo” test directories indicated above will be maintained once a fully working 360 snapshot setup is in place. 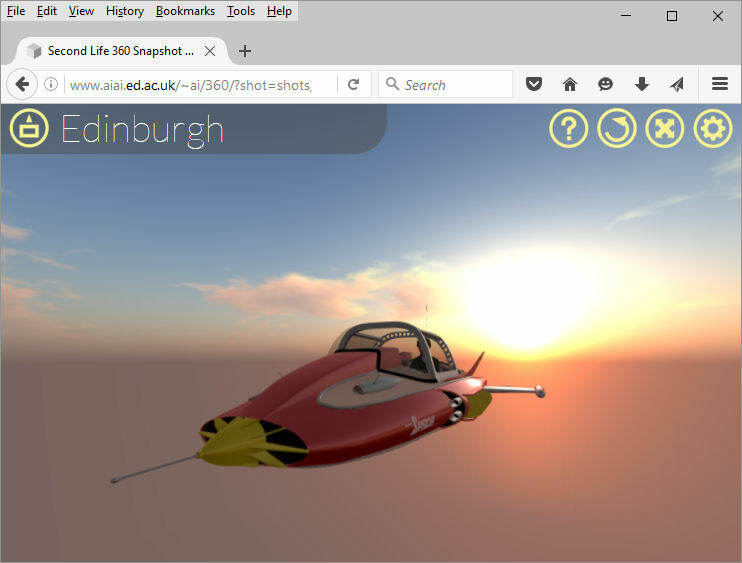 The 360 snapshot viewer, version 5.1.6.515934, June 6th 2018 appears to work very well now, with earlier test releases which incorrectly included some HUDs in the snapshot now corrected.